Summer time can be an exciting time but it can also be a challenge for families. If you have school aged kids, what are you going to do with them to keep them busy? For families with college students or even those of you who are college aged, the struggle becomes finding a little bit of adventure before the break is over. If you find yourself with some free time in Nevada, explore a few of our best picks for summer activities! These cabins are the perfect retreat for families or friends. They are tucked away among the pine trees and offer a retreat without being too far from the activities at Lake Tahoe. There is local boating, fishing, hiking and festivals as well. Many of the cabins are only open during the warmer months due to snow. The bike way is 116 miles along the Truckee River. This is one of the best views of the river and the surrounding areas. The trail is paved in parts and dirt in others. It is not a basic trek but manageable for families. You can search for a glimpse of the wild horses on your own along Route 375 or attend a guided tour through some of the best viewing spots. With an estimated wild horse population of 19,000 there are many herds running across the desert. These dunes are a fun place to take an ATV, explore on a bike or even just hike. The area is well known for the dunes and offers a different view of the desert. The locals calls stand-up paddle boarding “sup.” This is a fairly easy thing to learn, especially on the calm lake waters. It is for the more athletic, but the views are pretty amazing. 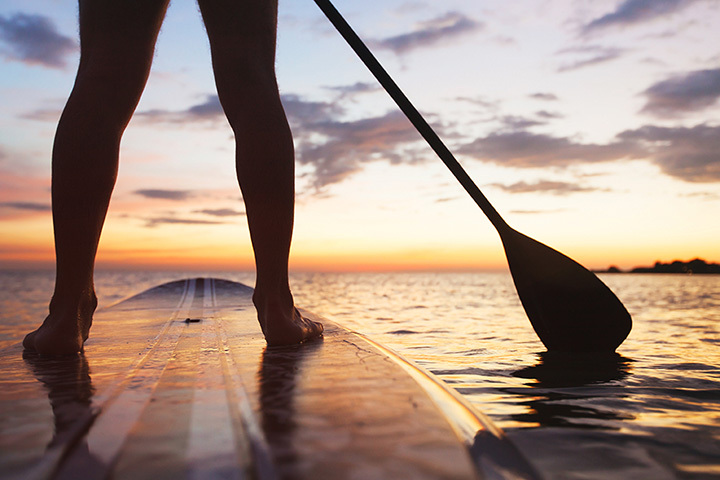 It is also quiet peaceful to just paddle along your own course. During the summer months, the outdoor track is buzzing with exotic cars. This once in a lifetime chance to drive a real race car on a professional track is something most won't pass up. They have a pretty amazing selection of high-end cars so there is something for everyone. Vikingsholm is a hidden gem on the Emerald Bay section of Lake Tahoe. This beautiful property is considered to be one of the best examples of Scandinavian architecture in the country and one of the first vacation homes in Tahoe. Ready to get up and close with a real dinosaur? It's time to meet a T-Rex named Sue then. This hands on museum offers some of the best examples of dinosaurs and other natural history pieces. They offer both traveling exhibits and those in their private collection. During the hot summer months, this family water park is a true oasis. There are a wide range of rides, water features and pools to keep all members of the family busy. This is a chance to enjoy the thrill of whitewater tubing without the hike. It is also a fun place to let older kids explore while mom and dad enjoy relaxing soak. There is so much to explore in this national treasure. The fire red rocks are an amazing place to take pictures. The rock formations are breathtaking and the animals you find are no always what you expect. This hike is something out of the ordinary in the stark desert.